I have struggled over the years to make a quality pie crust. Eventually, I just avoided it by using pre-made or refrigerated store bought pie crusts when necessary or even completely store bought pies at times. I just didn’t trust my pie crust making skills. They were seriously lacking. But then I found this recipe from Ree Drummond’s The Pioneer Woman Cooks cookbook. She calls it “the perfect pie crust,” and she is right. It is the flakiest pie crust I’ve ever had, and with a few tips from her, my mom, and my photographer Angie, even I was able to pull it off! 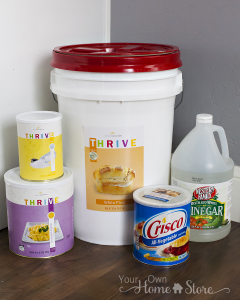 I’ve used it in a few recipes since such as apple pie, and chicken pot pie (coming soon). The only change I made to her recipe was to use powdered eggs instead of fresh eggs. 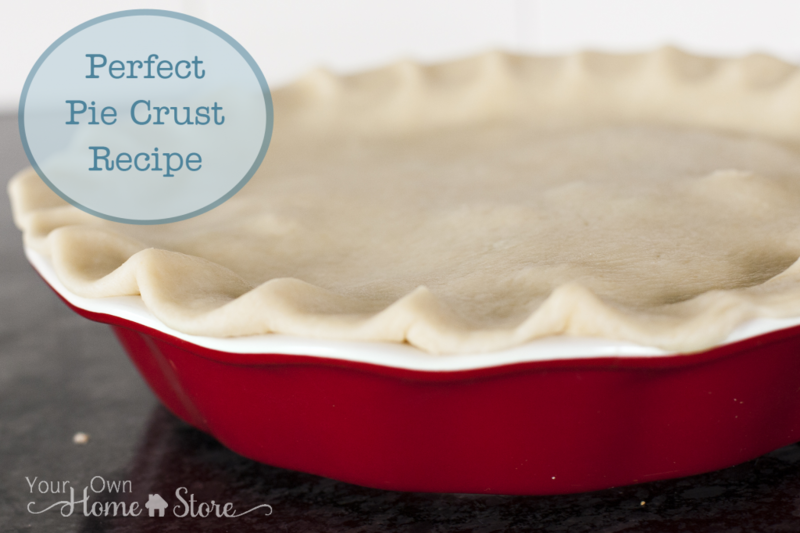 So, now you can have perfect pie crust even if you are out of eggs! 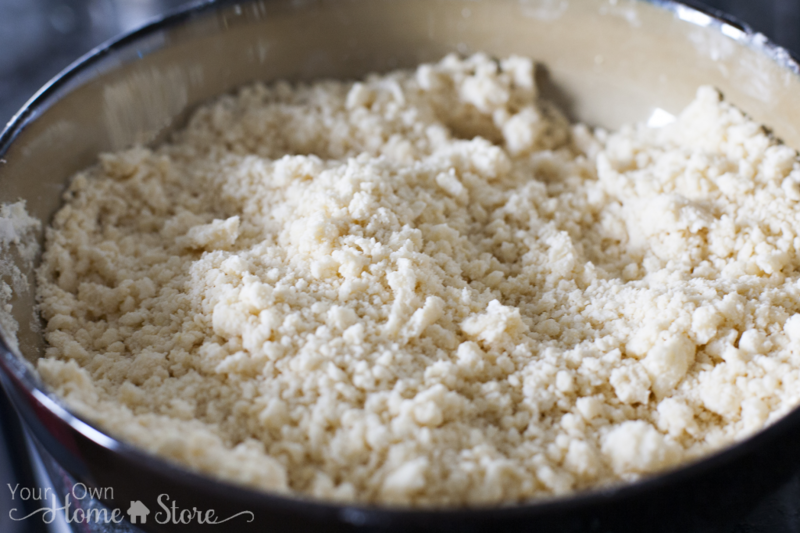 Lightly mix flour, salt, and powdered scrambled egg mixture with a fork. Then add shortening, and begin cutting it into flour mixture. I used a knife and fork and it worked just fine. But if you have a fancy pastry cutter, you should use it. It will take less time. Continue working the flour and shortening into each other until it resembles “course meal” there are no large chunks. With my fork and knife, it took about five minutes. Now you are ready to add the water and vinegar. Stir until just combined. Then separate the dough into two pieces, form them into balls, and place one on a lightly floured surface. Gently flatten the ball with your hands. 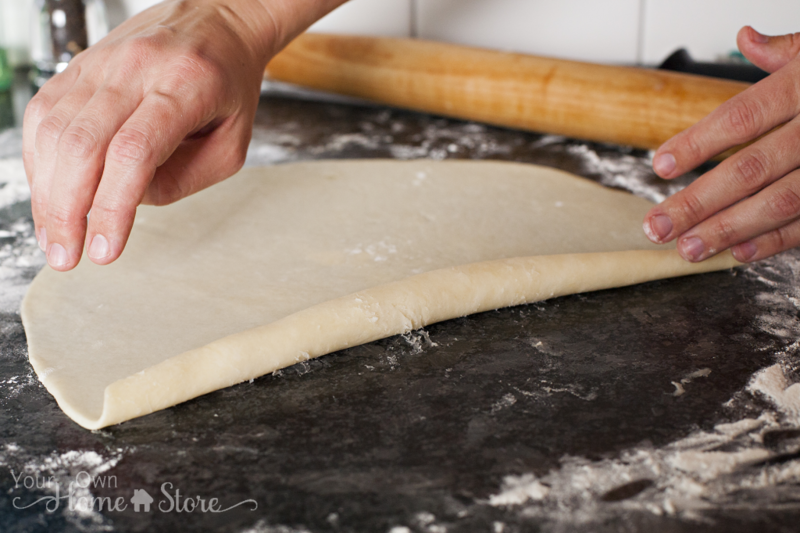 Do NOT roll the dough out in back-and-forth rolling. Instead begin right in the center and roll outward in a single stroke. Then change your angle a bit and roll from the center in a single, outward stroke. Repeat until you’ve gone all the way around the circle a few times. I like to do this on a corner of my island so I can move around the pie crust instead of moving it or resorting to back-and-forth rolling. Be patient and gentle. 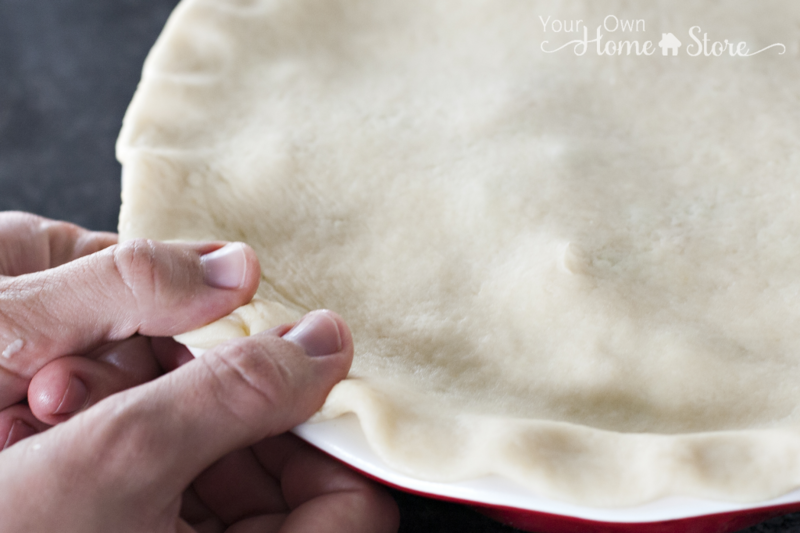 It will take a few minutes, but it will reward you with a beautiful flaky pie crust! If the bottom starts sticking, add a sprinkle of flour to the top, and slide a sharp spatula underneath to loosen it. 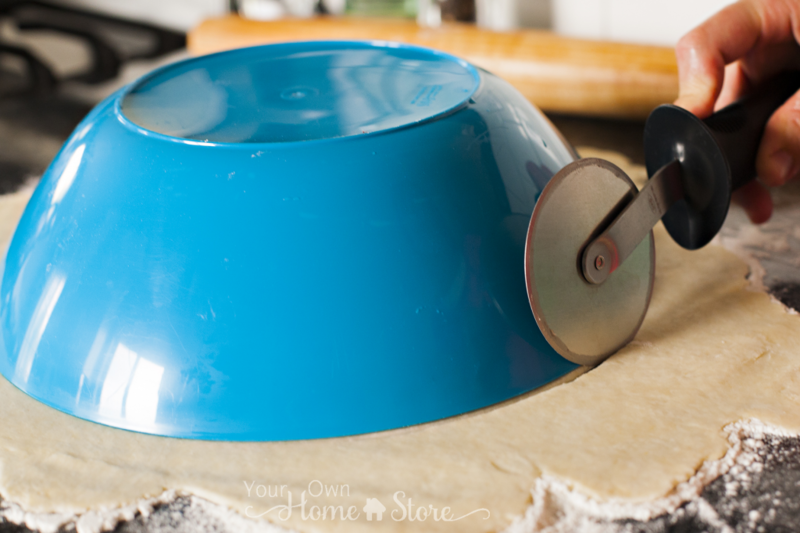 One it is all rolled out, I like to use a large bowl and a pizza cutter to get it completely circular. 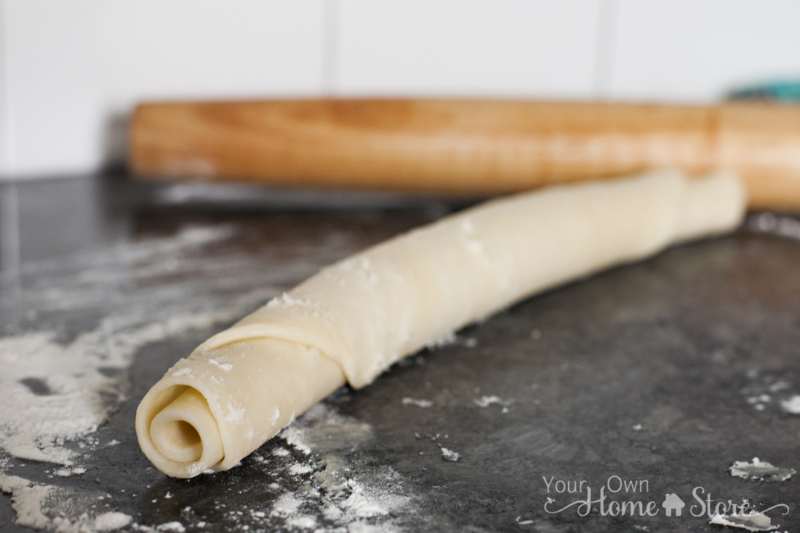 Roll your pie crust before you move it. Thanks, Mom! This is the best tip! Trying to move that big ol’ circle just results in a floppy mess for me every time. But if I roll it up first, moving it is simple! 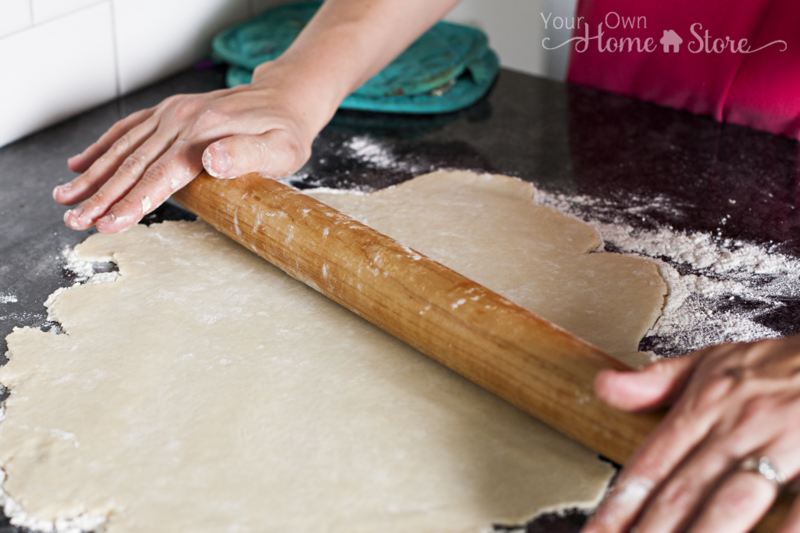 Once you’ve rolled up your crust, pick it up and transfer it to your empty pie dish and unroll it. Use your hand to lightly form the crust so that it fits inside the pan and overlaps the edges. Add filling, and then roll out the second batch of dough. 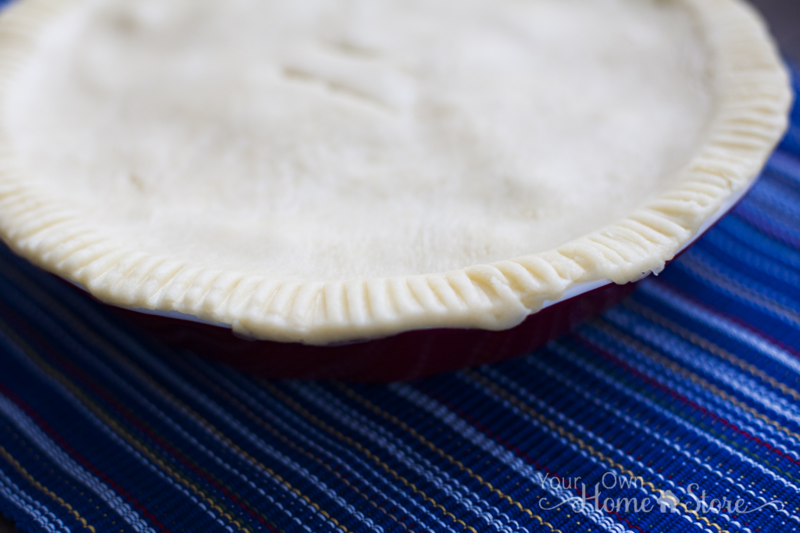 Once it is rolled up, transfer it to the top of your pie pan. 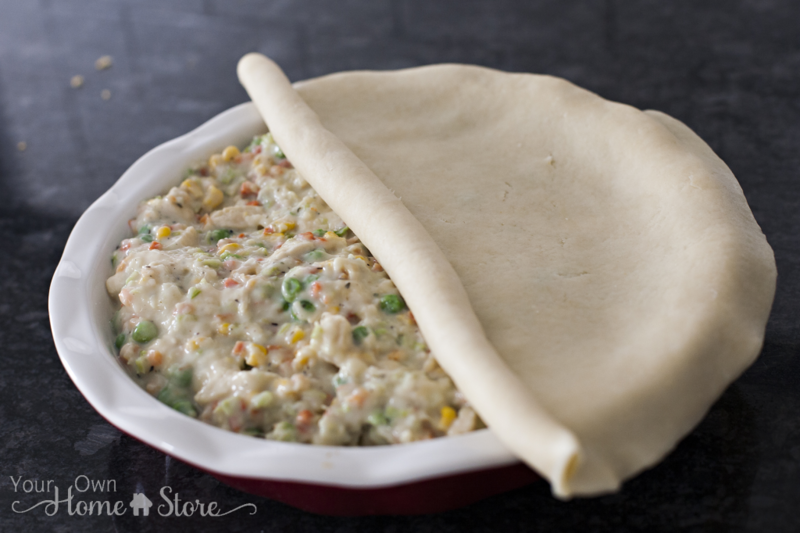 Or if you are making my pot pie (recipe to come soon), don’t worry about the bottom crust…you only need the top! Tuck the edges in under themselves, and then apply a decorative effect to the edge. Since (in the past) I’ve been limited in my pie making skills, the only thing I knew how to do was to use a fork. That was, until my friend (and photographer) showed me how to use my thumbs to create an even prettier edge. This is the flakiest pie crust recipe I've ever found! 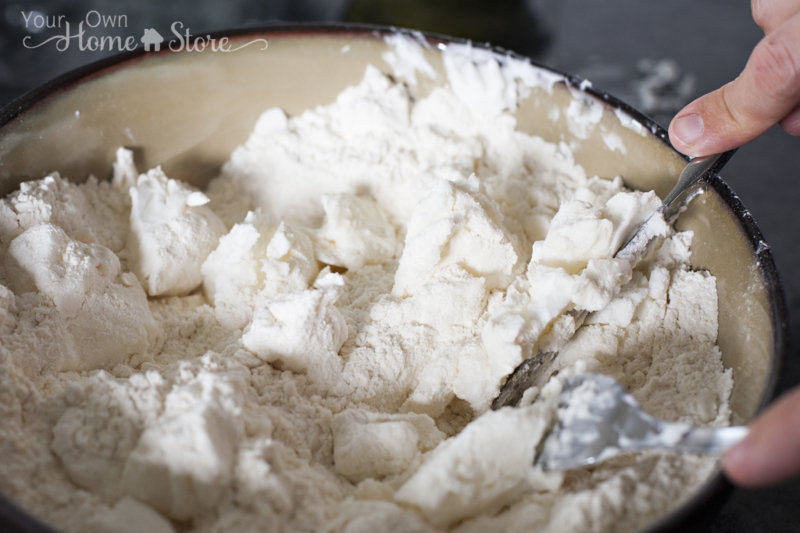 Add the shortening, and use a pastry cutter or knife and fork to work into the flour mixture until it looks like small pebbles (about 3-5 minutes). Add cold water and vinegar. 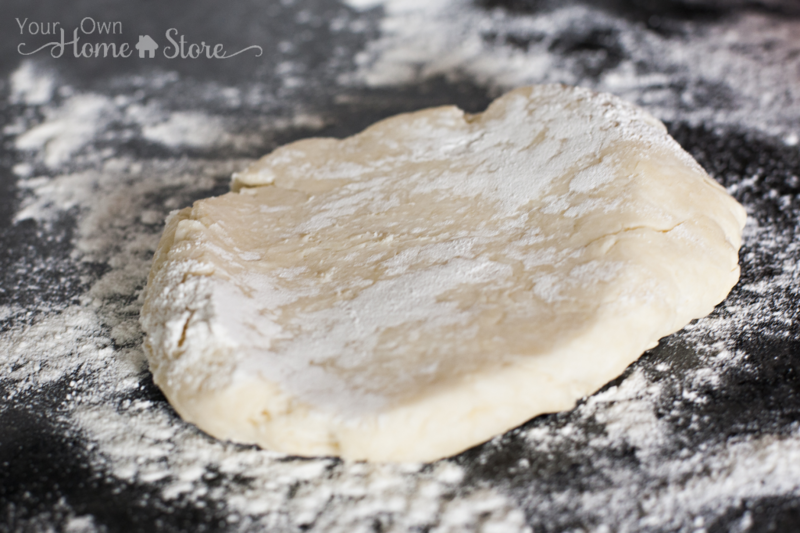 Remove half the dough, and place on lightly floured surface. 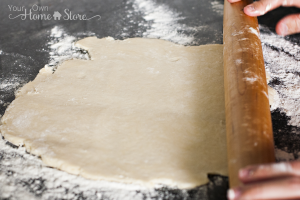 Begin rolling the dough from the center outward making your way all the way around the circle. DO NOT use any back and forth rolling. 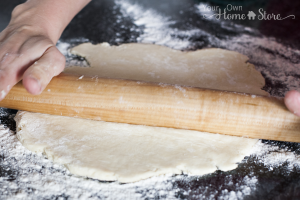 Once dough is rolled out, use a bowl (that is an inch or two larger than your pie pan) and pizza cutter to cut a nice round crust. 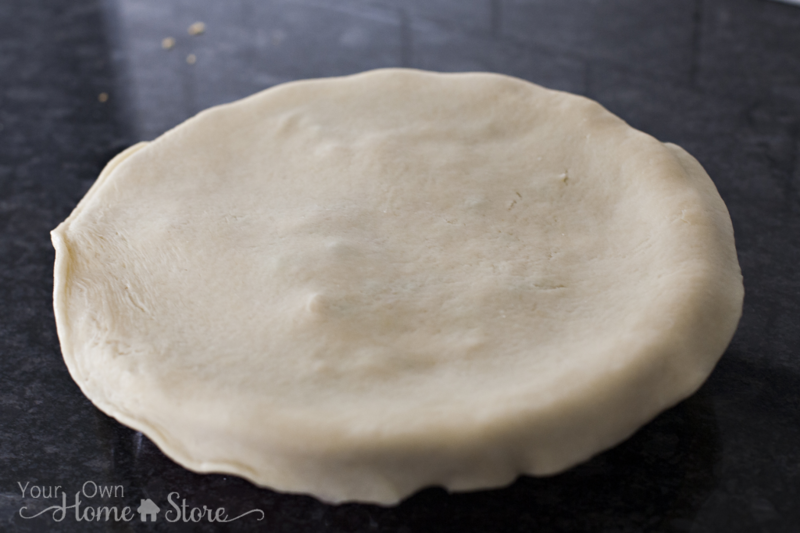 Move crust to pie pan and unroll. Bake according to pie recipe's directions. 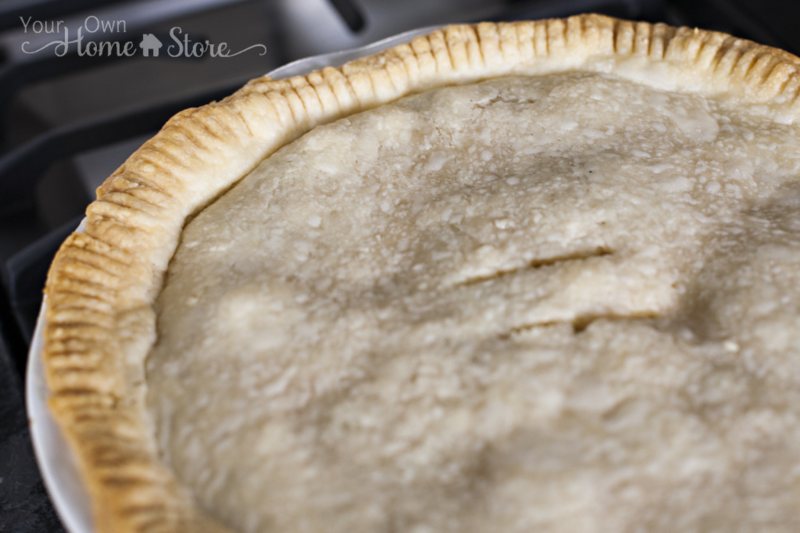 Crust can be used on bottom of pie pan, on top, or both depending on what type of pie you are making. If you need a pre-baked crust, fill with pinto beans placed on aluminum foil, and bake at 400 for 10 minutes. 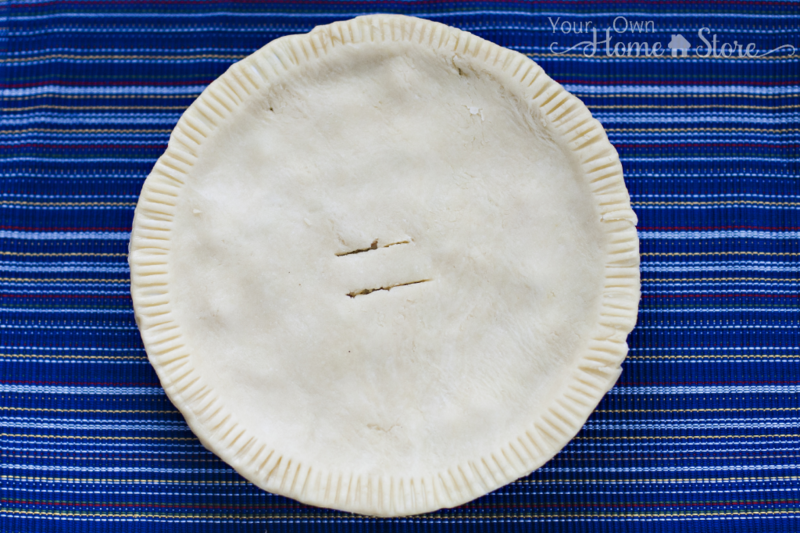 Crust can also be used for cobblers and tarts! Misty, have you tried using the shortening powder for the crust instead of regular shortening? I haven’t Cindi. I should…. I am a horrible baker. This has been made too dry, too wet, and just right. No matter what I do, the crust is perfect every time. Pies are the only thing I do well because of this crust. 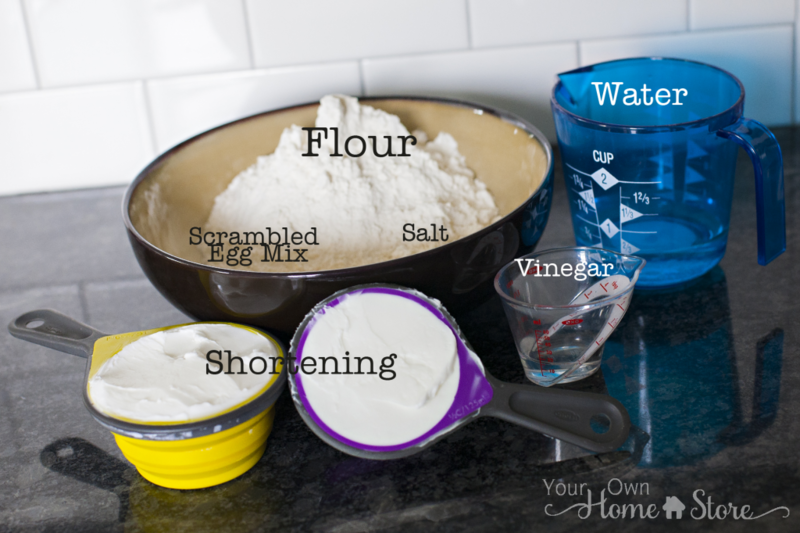 My question is… are the amounts of water and shortening based on the powdered eggs? Thanks for this. I have the same struggles and hope to be able to make a good pie crust with this info. Also when you don’t have a pastry knife, use 2 knives and just cut them back and forth together, sort of like two swords…hope that makes sense. As for me and my house we like 2 crusted pot pies. the crust is the best part. I also use the left over crust dough to make cinnamon sugar crust cookies. The best, just don’t overcook.